I hope April is treating you all well, I can’t believe that Spring is here! Our weather is still intermittent here, there was snow on the ground on April 1st and the indecisive warming and cooling trend continues. I think I can turn off my furnace now, but I’m worried that as soon as I do it will snow! I was looking forward to this time of year for the Sephora April VIB Sale despite the weather. There were so many Spring releases and products in general that I was holding out to purchase until the sale. Let’s get into my Sephora April VIB Sale Haul! This palette was on my Spring Wish List last month as well as my Sephora VIB Sale Wishlist. I don’t normally rush out and buy new palettes but I read some reviews on it and couldn’t help myself. There are a few eyeshadow repeats between the Soft Glam and the Modern Renaissance and I know people have said that the Soft Glam wasn’t a necessity for them because of that. Since this is my First ABH palette the repeats don’t really bother me. These shades are sooo pretty and springy! I received a sample of the Caudalie SOS Thirst-Quenching Serum in my February Look Fantastic box. I noticed a huge improvement in the hydration levels of my skin while using the sample. I have extremely dry skin and my dry patches have resurfaced since I started testing moisturizers for the 2018 Elle Canada Grand Prix because I’ve been changing moisturizers each week. I’m hoping that this will help balance out those dry patches again. The Caudalie SOS serum retails for $59CAD full size, but this set includes the full size serum plus a Moisturizing Sorbet and Grape Water Spray for $59CAD. I technically bought this a week or two before the sale because I was worried it would sell out, and it did. 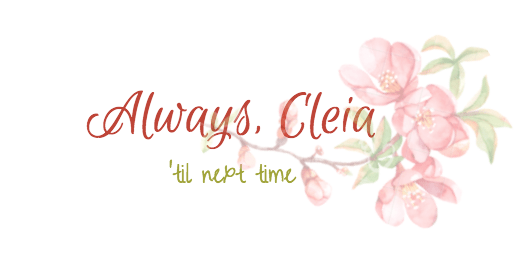 I’m including it in my haul because I haven’t talked about it on Always Cleia yet! These lipsticks retail for $10CAD and have really great reviews at Sephora. I’m obsessed with the packaging, each shade of lipstick has it’s own design. I chose the matte shade Brunch Date and it has a picture of a little brunch table on it! The side of the lipstick as the word “Matte” embossed into it. My lips are horribly dry lately, I’m not really sure why. This shade is really pretty but right now it sets into my lip lines because of how dry they are. I’m hoping after a few days of intense moisturizing and maybe a few lips masks it will sit better on me. I had a different Sephora sponge in my VIB Sale Wishlist but this ocean crush set released during the sale. I’m using a drugstore sponge from Quo currently and I don’t like they way it blends my foundation. I decided to go back to Sephora sponges and I love how cute and soft these sponges are! The value on this set is unreal. This contains the travel size (0.5 oz) of Becca’s First Light Primer plus a liquid highlight and costs only $18. The travel size costs $24 at Sephora and the full size retails for $46 so this is actually a really good deal. I really like the First Light Primer, it’s not silicone based and my foundation sits nicely on top of it. Kitty Ears are blocking my sunbeam! What did you get in your April VIB Sale Haul? Previous Post Recreating my Wedding Makeup! Good luck! Sometimes we have to be creative to find that perfectly lit spot! I’m loving it! The Tropic like it’s Hot bronzer is the only shade that’s too dark for me but once I get my tan on I think it will be lovely! I’m happy I finally got an ABH palette, I agonized over the MR when it came out but the shades in the SG are more like my everyday style. Sephora sponges are my favourite out of the ones I’ve tried so far, though keep in mind I’ve only tried 2 other types. I’ve heard real techniques has good sponges! That’s what I use! I use the RT sponges, and I like them best out of all the ones i tried. I haven’t ever tried beauty blender yet, but I honestly can’t justify that purchase! It’s so pricey for a sponge that you have to replace! and yes let me know, I’m going to look into which shades would look best on me! Beauty blenders are way too expensive! I’ll need to try out the RT ones next! Yes, please do! I would love if you created a comparison between all the sponges you’ve ever tried out! Oooh, that Soft Glam palette is so stunning! I kept putting it into my cart and taking it back out during the two weeks of the sale – it’s hard to resist! The TF palette is so gorgeous! Their new packaging with the lace imprint is really speaking to me. I have a face palette from TF from years ago and they’re a really good value! I can’t believe how cute that Ocean Crush sponge is. I’m sad I missed it during the sale! I’ve never tried Sephora’s sponges, but I love that Quo sponge that you don’t like, lol. It’s beautiful! I love the shimmery pink shades! Too Faced did such a good job with the packaging, it’s so pretty! Not going to lie I bought it partially for the packaging xD Though I’m loving the Sunny Hunny Bronzer and the Starlight Highlight! I was so happy I was able to snag the set before it sold out! awww, you’ll get the next one! I saw that you did a ColourPop haul though, I’ll still need to read it! Girl you did great! These items look awesome. I’m obsessed with your photos! Great job! Omggg I have been wanting that Too Faced face palette! It looks pretty! I also want to try becca primers! I’ve heard so many great things! It’s freaking beautiful! I can’t get over the packaging alone. I filmed a first impressions of the palette today and I love it so far, the Starlight highlight is sooo pretty! I like that the First Light primer isn’t silicone based so it never pills my moisturizer. I have a lot of problems trying to find primers that go well with gel skincare products. The Becca set is such a good value too! No.. I’m on a No-Buy >_< Literally not buying anything except for refills/repurchases of empties that I absolutely need! Lol that’s fair, I need to go on a no buy for June, I have too much to use up right now. LOL! Haha it happens to all of us, but at least it was only one thing and something you’ll use! Eyeshadow palettes get me everytime, I have a box full of them and I keep buying more 😅 I hope you’ll post a look using the new palette! I’ll check it out tonight!! So many pretty things! Also, I am loving your spring photo props! So beautiful! Thank you! I was so tired of the white flowers I was using for everything haha! It’s not the worst, I’ve seen some girls post $500+ hauls which is so crazy to me! I’m loving the face palette, I filmed my first impressions today and it’s beautiful! That’s totally fair, if I had the other ABH palettes I probably wouldn’t have splurged on this one! I’m loving it though! thanks for sharing what you got! your pictures are lovely & that natural face palette looks absolutely gorgeous!! Thank you so much! I filmed a first impressions of the face palette today and I’m impressed! ooooh can’t wait to see it!! It will be up tomorrow or Thursday depending on how soon I can edit! I’m in love with my Soft Glam right now, it actually has tones of duplicates… 8 I believe, but to me that just shows that this is better curated than some other releases from ABH, because I don’t reach for those shades in the other palettes and yet I reach for this constantly. Wow I didn’t realize there were that many repeats. But for someone who doesn’t have any MR palettes this one is great, I agree it’s really well curated! Glad you’re loving it too!